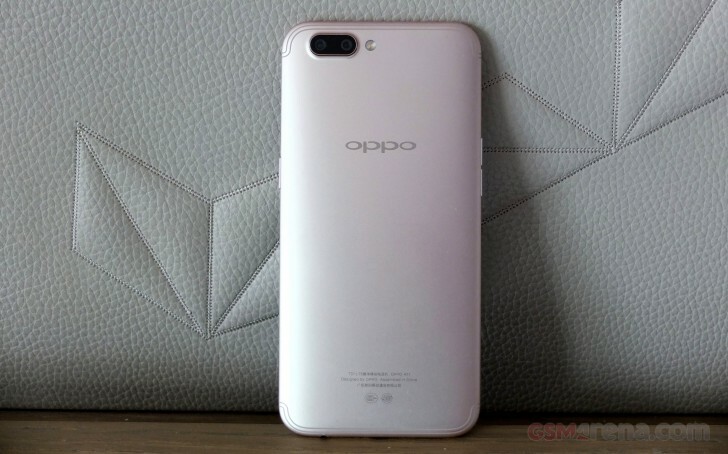 Oppo R11 is the first smartphone to feature the Snapdragon 660 chipset. The new chip by Qualcomm offers a powerful octa-core processor housing the company's custom Kryo 260 cores - four of those cores are ticking at 2.2GHz, and the other four are at 1.8GHz. Oppo says the new CPU will offer 20% performance bump over the Snapdragon 653 found inside the Oppo F3 Plus. There is a new Adreno 512 GPU which should offer 30% performance increase over the 510 GPU inside the Snapdragon 653 platform. Oppo R11 has 4 gigabytes of RAM, while its Plus version will pack 6 gigs. Indeed, Geekbenching the Oppo R11 revealed a noticeable performance increase when processor tasks are concerned, both multi-core and single-core. It did better than the F3 Plus featuring the previous S653 chip, and not that far from the results of the flagship Snapdragon 835 inside the Mi 6. Note: You can hover with your mouse on the benchmark results for details on the tested devices. There is at least a 30% jump in the graphics performance as promised, and the Adreno 512 easily takes the spot of our favorite GPU for the upper mid-range class. Finally, we come to the compound tests, which we deem the most important measures for a smartphone's performance. Here the Oppo R11 proves to be almost flagship-grade. Sure, it isn't as good as the latest Galaxies and the Mi 6 with the Snapdragon 835, but it's very close to the still flagship-grade S820 platform. That's quite an achievement for a mid-ranger. Oppo R11 and its Snapdragon 660 are easily leading the upper mid-range class in terms of performance. Qualcomm did a wonderful job with the 660 chip, while Oppo did the smart thing of adopting it first. This gives Oppo a big edge over the current crop of mid-rangers and makes the R11 an easy pick when performance is concerned. The S660 is manufactured at the 14nm process and is quite energy-efficient. We can also appreciate how cool the R11 remains on the outside after going through various benchmarks for the better part of an hour.